A follow up to the pictionary - a worksheet of four exercises. 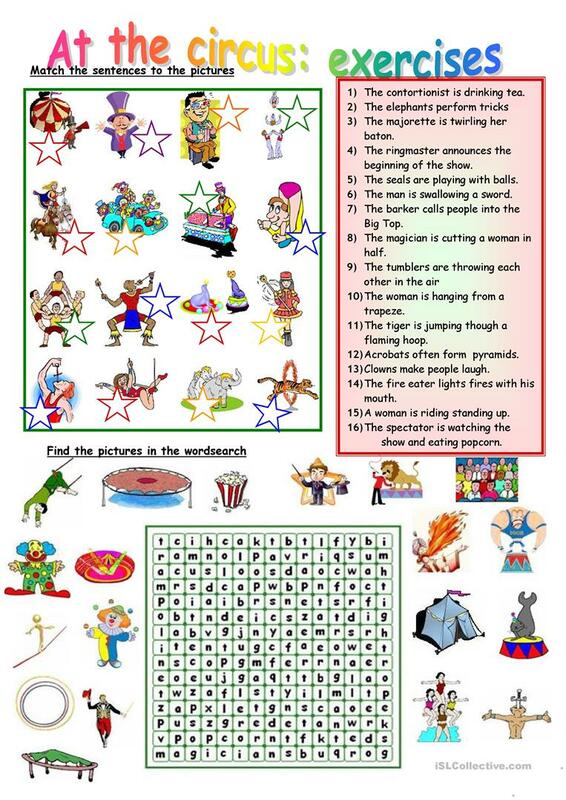 There are two matching exercises, a word-search and an exercise for students to produce sentences in the present continuous using pictures and cues.. The present downloadable printable is intended for high school students, elementary school students and adults at Elementary (A1) and Pre-intermediate (A2) level. 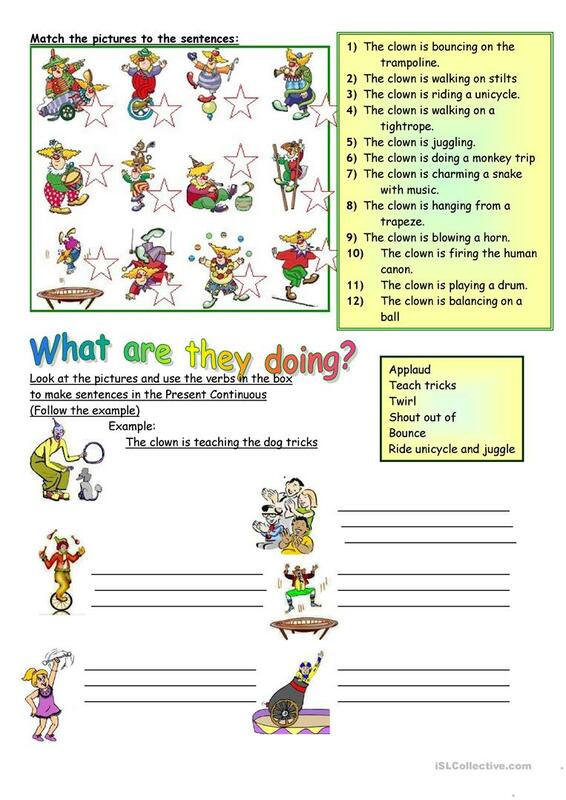 It can be used for developing your class' Writing skills.